For a lie down with a cool flannel on his forehead I should think. 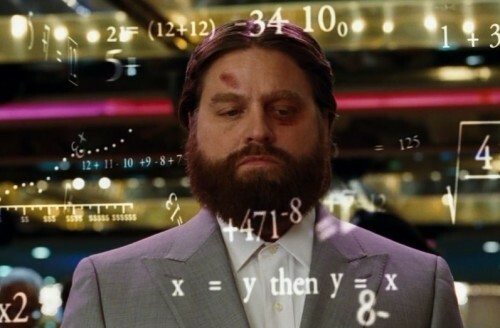 Figuring out how the countdown works from Saturday onwards. It meant that the taxi drivers and I had a common view that the systems under which we were suffering were all invidious and that we were brothers-in-arms, or confreres, if you will. On the politics show at lunchtime I heard a Brexiteer claim that he was now in favour of a longer extension rather than May’s deal. This presumably to install barking mad Boris or similar to lead the next stage of negotiations. Now we have Number 10 thinking about cutting the meaningful vote into two to convince Bercow that it constitutes a substantial change. If you had written this as a script for a political thriller, any publisher would have rejected it as being to fanciful and divorced from reality. It is gripping though. BBC Parliament is the new Eastenders. It would however, have done nicely for a whole five series of The Thick of It. Terrible Teresa the communist dictator On for her 3rd defeat tomorrow . In which case, I humbly apologise. That I wholeheartedly agree with you, Tom. It means that Cymru can , at last, take its seat - as equals - with the nations of the world, just like Ireland did 100 years ago. No more unequal union in the UK. Or it means the bleeding obvious, that we're all natives of the continent of Europe. Maybe he thinks EU is Europe. It's interesting you think the votes of Welsh, Scottish, NI should count for more than English vote. Not very democratic that. Parliament is sovereign. She’s the closest it’s come in my lifetime to being ruled by a dictator. A Parliamentary enquiry has to be held and lessons have to be learnt. So tomorrow’s vote isn’t THE meaningful vote. And she’s probably gonna lose anyway. What do we want? Dunno but not that. When do we want it? Well ideally before Eu elections but well it might take a bit of time deciding what we actually want tbh How long is a piece of string? One of them dictators that never ever gets their own way. So a useless dictator. Cymru has never agreed to join the British state. Theresa May, 14th Jan: "The link between them [withdrawal agreement + political declaration] means that the commitments of one cannot be banked without the commitments of the other." Don’t think that’s a very wise tweet to be honest, it’s something that Brexiteers may try to use to further their cause with voters. I don’t know why most of these politicians just don’t shut up and get on with their work. Playing to their audience and infuriating and alienating the others. Sorry mate, i will be sure to check with you next time before i post.